Serving Arkansas, Oklahoma and Texas with heavy truck equipment, garbage trucks, refuse equipment, sewer equipment, street equipment, installation and service. Ask us about rental trash trucks, combination sewer cleaners, street sweepers, sewer equipment and more. We also rent any trucks or equipment that you see on our used inventory page. Ask your sales representative about Oklahoma state contract pricing. The state contract is pre approved equipment pricing that can speed up your aquisition. Authorized sales and service for Labrie, Leach, Wittke in Arkansas, Oklahoma and Texas. Our certified technicians can repair or upgrade front loaders, side loaders and rear loaders. Your source for street vacuums, bulk collection, litter collectors, recycling trucks, bulky waste equipment and roll-off units. Ask us about refuse bodies and custom fabrication. Providing the best in street sweepers, asphalt patching equipment, snow removal and spreading equipment. We can install and service almost any sweepers or paving equipment. Truck mounted sewer equipment sales and service, jetter equipment, TV sewer inspection, hose nozzles and accessories. We've got what you need to control the on-site environment. 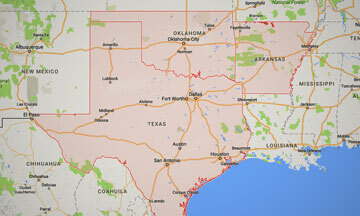 We service trash trucks, heavy equipment and custom oilfield equipment throughout Oklahoma and Texas. We specialize in everything from factory replacement parts to custom fabrication. We have cerfied CNG technicians that can install, service and even convert vehicles with Compressed Natural Gas equipment. You might be surprised at the power and savings of natural gas. Need custom fabrication? We have provided custom fabrication for trucks, heavy equipment, oilfield, street, sewer and refuse equipment since 1937. We feature certified technicians for service on your garbage truck, street sweeper, hydraulic system or any type of custom rig up for your heavy truck or equipment. 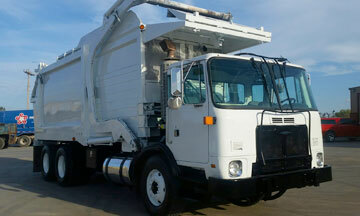 We buy and sell used trash trucks, sewer equipment, street sweepers, bulk haulers, dump trucks and more. 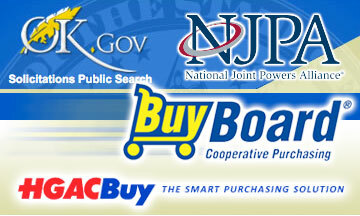 Check our inventory often to take advantage of big savings. Need a temporary solution? We rent trash trucks, sweepers, Vactors, hydro evacuators and all kinds of refuse and sewer equipment. Give us a call today and tell us what you need. CNG Rig Ups In Oklahoma And Texas. Check Out The Photos! We got into a jam and J&R Equipment bailed us out. Two of our trash trucks broke down at the worst possible time. I have worked with J&R Equipment for years and found them to provide excellent service and custom fabrication. We sell recycling trucks and equipment but also like to do our part. In addition to recycling by way of refurbishing and rebuilding trucks and equipment, we use recycled oils and fluids to heat large areas of our facility. We also recycle metals and other scrap materials and encourage everyone to dispose of hazardous materials properly and recycle whenever possible. Ask your local municipality about recycling centers in your area... It All Adds Up! Sign up for our monthly list of used trucks and equipment. Our inventory changes regularly and features a wide variety of used garbage trucks, street sweepers, pipe hunters, dump trucks and more!